CCM Quicklite Control “Exclusive” Junior Shoulder Pad | Sports Etc. Construction: Molded Dryfoam Technology – Closed cell foam that absorbs less sweat to keep the player dry and the product lightweight. Caps: Molded Low Profile PE Cap – Lightweight and high level of protection. Torso: EVA Molded Vented Front and Back Base – Improved breathability and lightweight feel. Bicep: Adjustable Molded PE Cap – Customizable elite protection. 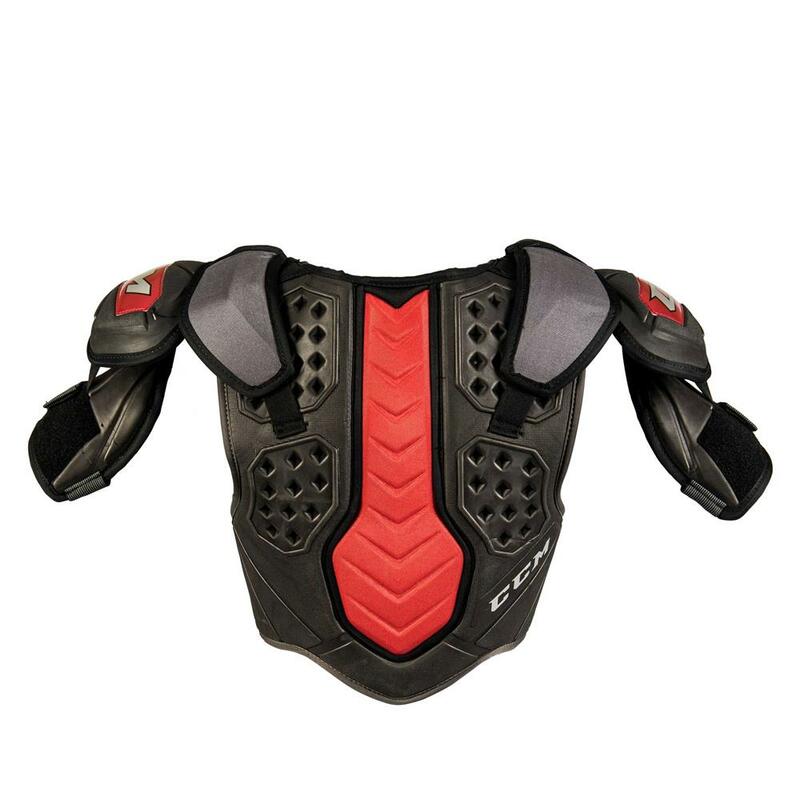 Sternum: PE Anatomical Molded PE With Neck Comfort – Maximum protection. Sports Etc Performance To Value Rating– 9 out of 10. 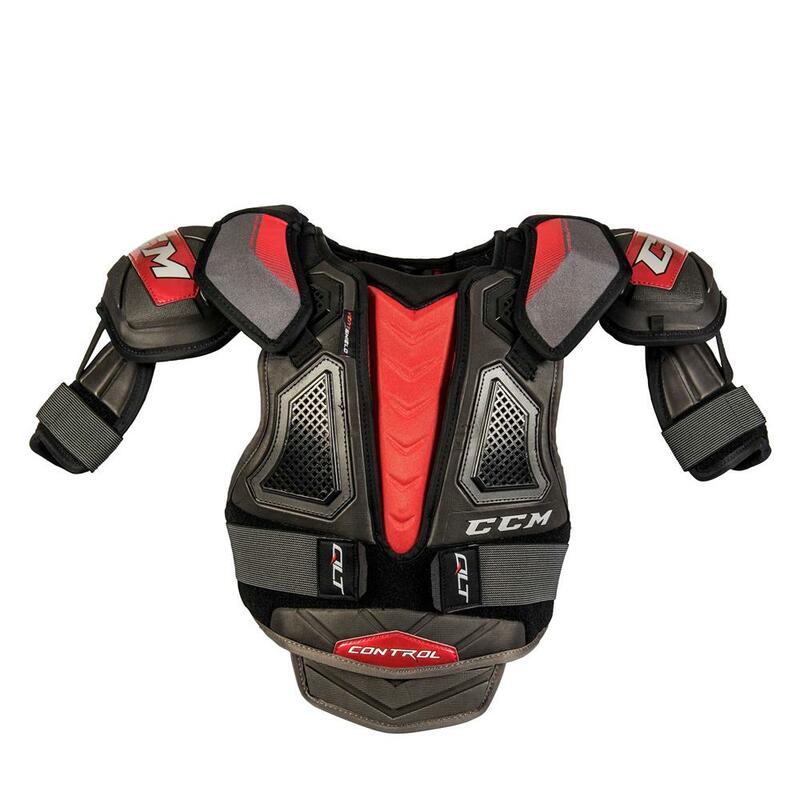 CCM’s crazy light technology makes it one of the lightest shoulder pads on the market. Tapered fit for extreme comfort and mobility. A best seller.